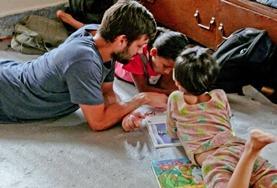 Accommodation: Host families, hotels, and a family-run hostel at the Conservation Project. 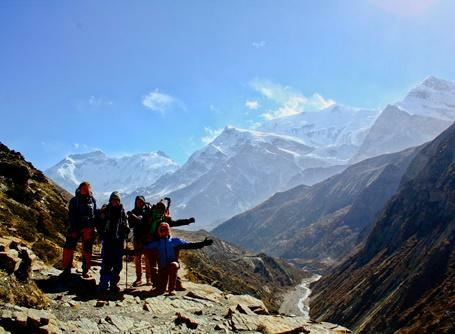 Nepal is a breath-taking country with many fantastic opportunities to volunteer within its borders. Projects are available for anyone interested in volunteering in the developing world; whether you are on a gap year, a summer placement or a career break. 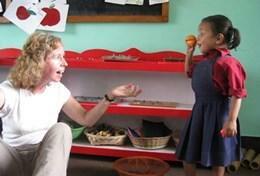 Projects Abroad Nepal has volunteer placements in Teaching, Care, Medicine, Conservation and Physiotherapy. Nepal is one of the world's poorest countries and volunteers will be able to make a difference in schools, hospitals and children’s homes. Our volunteer programme is based in the bustling city of Kathmandu – a city full of jostling crowds, rickety bullock carts and noisy auto-rickshaws. 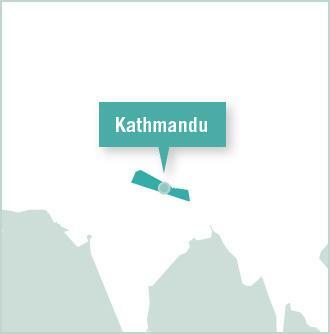 Most of our voluntary placements are located here too, although some are located in more rural areas of the Kathmandu valley. 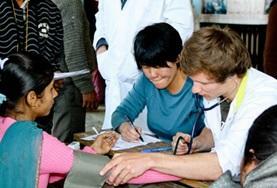 We also have Medical and Care placements in the lowlands area of Chitwan and a Conservation project in Gandruk. 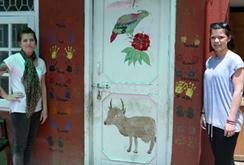 Some volunteers in Nepal live in a youth hostel, however most volunteers live with host families. Certain host families welcome up to four volunteers into their home and you'll usually share a room with one other volunteer. 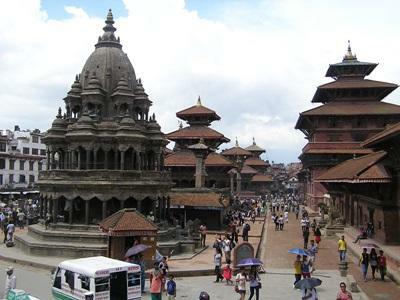 Nepal is a tiny, yet stunning land of snow-capped mountains, majestic old temples and the colourful city of Kathmandu. The home of Mount Everest draped along the backbone of the Himalayas, Nepal entices all kinds of people – and they don't go home disappointed. Nepal has historically been a shrewd trader with both India to the South and China to the North. It is also in a transitional stage from royal autocracy to a form of democracy. The geographical location of Nepal makes it one of the most bio diverse countries on the planet. As well as the mountains you will find green paddy fields and jungles teeming with exotic wildlife. On your days off from voluntary work, there's always something going on. Kathmandu attracts pilgrims as well as tourists, so there are plenty of religious festivals and temples to visit. Kathmandu is transforming into a vibrant, more modern metropolis. Western influences mean that you will certainly see modern-looking businessmen or monks chatting on mobile phones, however, there is still plenty of evidence of a more traditional life. Nepal is the perfect location for anyone adventurous who loves the outdoors. There are places to go white-water rafting in the foaming glacial rivers and the mountainous terrain is perfect for those seeking extreme mountain biking, climbing or trekking activities. Who wouldn't relish the unforgettable experience of hiking in the foothills of Mount Everest or going on an adventure trek through the jungle in Chitwan National Park? Volunteers on our Building project in Nepal will work to rebuild and repair schools, homes and community buildings damaged by the earthquake which struck in April 2015. Help make a tangible difference to our recovery efforts in-country. 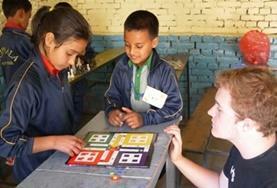 Teach literacy, numeracy and hygiene skills to disadvantaged children in Nepal. You can also provide support for children at special needs centres for disablities and malnutrition. Volunteer in Nepal at care and rehabilitation centres for vulnerable children living with HIV and AIDS, and help teach life skills and provide educational and emotional support. As part of this Medical Elective placement it is likely that you will work in a hospital with a lack of resources and facilities. You will be assigned a supervising doctor who will support your experience. As an elective student in Nepal you will be provided with a placement that not only meets your elective requirements but also gives you a full and rewarding experience of this fabulous country. We are partnered with a number of rehabilitation clinics in Nepal. 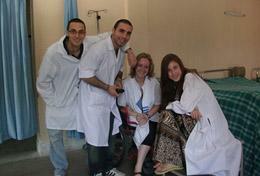 This is the perfect location for any student wishing to take a Physiotherapy Elective in a developing country. 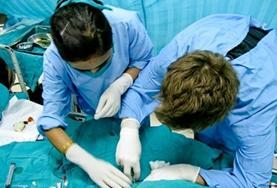 Volunteer in the dental department of a local hospital and observe dentists and other dental staff throughout their day. 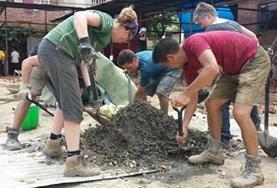 Work alongside local staff and help deliver healthcare to Nepalese people who would otherwise be unable to afford it. You may work at a hospital or centre for children with physical disabilities. 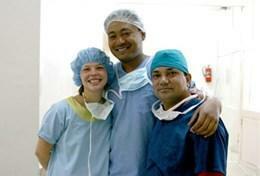 Volunteering on a Nursing project in Nepal is an exciting and rewarding challenge. 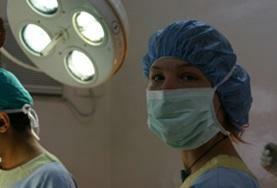 Projects Abroad will help match you to a placement that will best suit your skills. 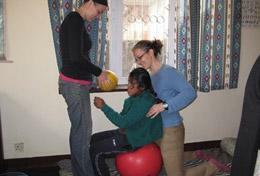 A volunteer Physiotherapy project in Nepal is a great way to gain work experience in this field whilst living in one of the most culture rich countries in the world. 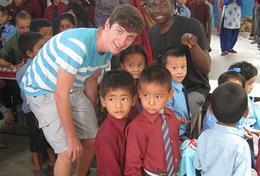 Teach English and other subjects to primary school children in Kathmandu. You'll help students improve their conversational English abilities, and work on basic maths, hygiene and life skills. Take part in basic renovation work in a local community and spend time organising games and fun activities for disadvantaged children in Kathmandu. At the heart of the mythical city of Kathmandu and in the beautiful city of Chitwan, volunteers will learn about different medical practices in Nepal and attend lectures at the local teaching hospital. Gain an extensive overview of physiotherapy practices in Nepal by spending time in the physiotherapy department of a large hospital and a centre for people with physical disabilities. Work with children from underprivileged backgrounds, focusing on activities such as reading and games, as well as teaching basic English and hygiene skills. As a volunteer in Nepal, you will be able to make a positive impact on children s lives in schools and care centres, through running educational activities and games, as well as doing outreach and renovation work. Volunteer during your Christmas holidays and work to rebuild and repair schools, homes and community buildings damaged by the earthquake which struck in April 2015.